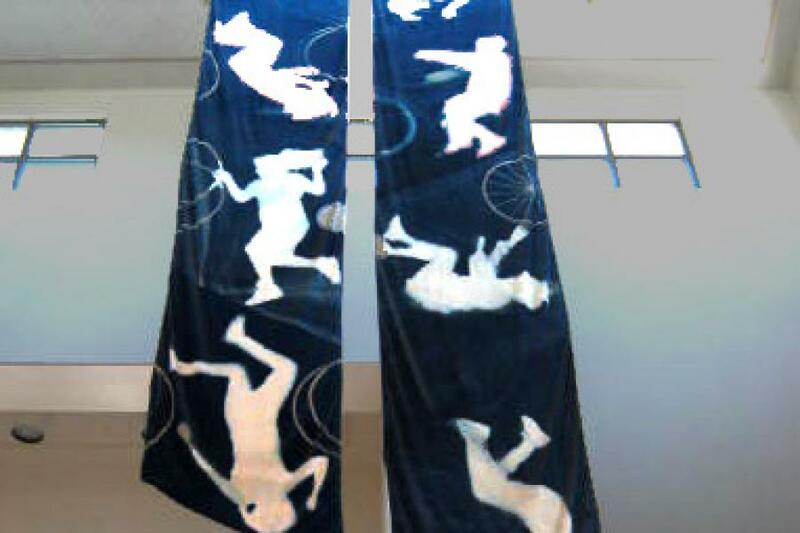 Two twenty-two foot banners with images of children and bicycle wheels tumbling down in deep blue space making for a dramatic yet functional entry point. 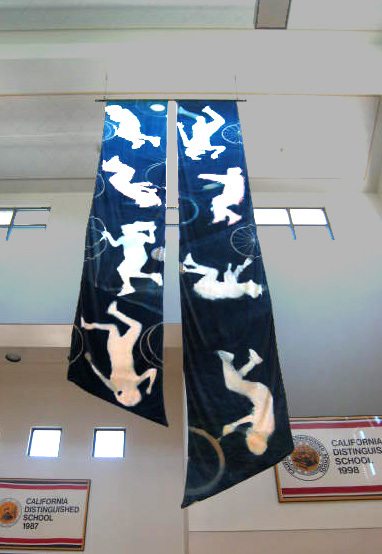 The banners help absorb the echo generated by the vaulted ceiling. Cyanotype or sun print process was used to make full-size contact prints of the children and objects.